The Redondo Beach Unified School District is no longer accepting new Inter-District Permits for the 2018-2019 school year. 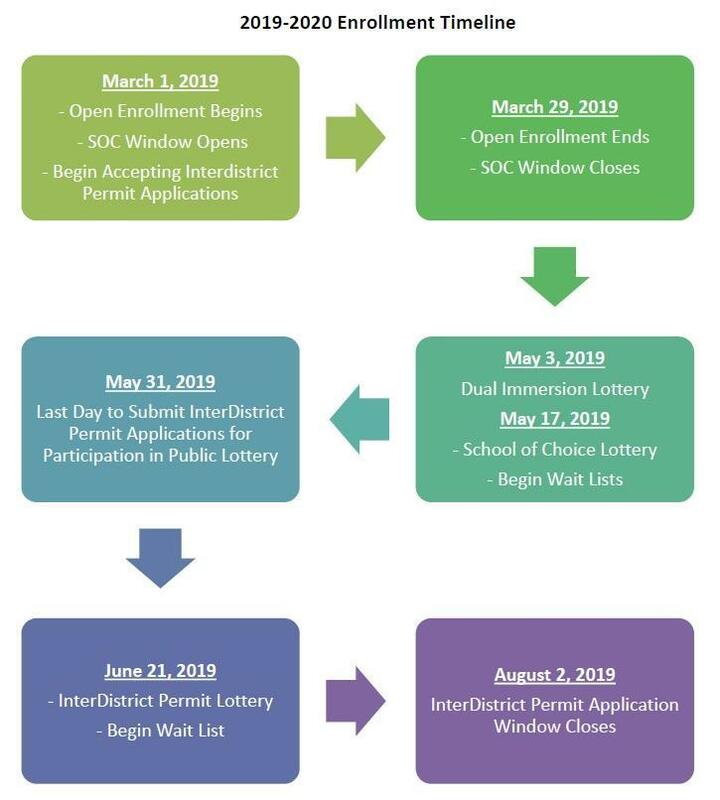 The Inter-District Permit Applications for the 2019-2020 school year will be accepted starting March 1, 2019 and ending on May 31, 2019. Priority is not on a first come, first served basis. Any applications submitted within this time frame will be entered into a lottery. Obtain permission to be released from the district in which the student resides by visiting your home district's Student Services/Educational Services office and requesting an Inter-District Permit Release. Obtaining a permit from the school district in which you reside does not mandate acceptance by the Redondo Beach Unified School District- you must still be accepted within RBUSD to attend. Complete the RBUSD Inter-District Permit Application (link below). Attach the permit release from your district of residency and a copy of the student's most current report card showing current grade level (non-Kinder applicants). Bring the completed RBUSD Inter-District Permit Application andthe permit release and relevant attachments to Educational Services in the RBUSD District Office located at 1401 Inglewood Avenue, Redondo Beach, CA 90278 starting March 1, 2019 and no later than May 31, 2019. Notification of the RBUSD Inter-District Permit Lottery (to be held in June) will be sent home to all applicants via mail. All names will be drawn in the public lottery in order to create a prioritized waitlist. Should space become available between the lottery and the first 2 weeks of the school year, families will be notified in the order in which they were selected during the lottery process. If a permit is accepted, students are expected to maintain satisfactory attendance, effort, academic achievement, and behavior. A determination of all permit applications will be made as soon as possible, but no later than 14 calendar days after the start of the school year for which a family is applying. For requests submitted during a current school year, a final decision will be made within 30 calendar days. Letters indicating final denial decisions will be sent via regular mail and will including information regarding right to appeal to Los Angeles County Board of Education. Priority for new Inter-District attendance permits shall be granted first to children of current permanent employees of the District. "Children" shall be limited to each permanent employee's immediate family, including step-children living with them at least 50% of the time. To enjoy this priority, applicants must submit all required paperwork for Inter-District transfers to the District Office, Educational Services Department no later than May 31, 2019. Applications received after this date will not be entitled to priority status. After Inter-District transfers are accepted for children of current permanent employees of the District, priority may be granted to students who have one or more siblings currently enrolled in the school district. To enjoy this priority, applicants must submit all required paperwork for Inter-District transfers to the District Office, Educational Services Department no later than May 31, 2019. Applications received after this date will not be entitled to priority status. Once a student is admitted to a District school on the basis of an Inter-District Attendance Permit, he/she shall not be required to reapply for an Inter-District transfer and shall be allowed to continue to attend the school in which he/she is enrolled, unless reapplication standards are otherwise in the Inter-District attendance agreement (California Education Code 46600). Students enrolled in Kinder through 8th grades on a Lawndale, Hawthorne, or Lennox permit must reapply for a Centinela Valley Union High School District permit release prior to their matriculation to Redondo Union High School. It is the expectation of the Redondo Beach Unified School District that any student attending school on an Inter-District Attendance Permit maintains satisfactory attendance, satisfactory grades, and satisfactory behavior at all times. However, an Inter-District Attendance Permit may be revoked at any time for the following reasons (California Education Code 46600 & RBUSD Administrative Regulation 5117): excessively tardy or absent from school; failure to uphold behavior standards; poor academic achievement and/or effort; false or misleading information was provided in applying for the Inter-District Attendance Permit; and other conditions that occur that would render continuance inadvisable. Terms and conditions are further outlined in writing at time of enrollment and/or acceptance of inter-district permit. Inter-District permits are also necessary for Redondo Beach residents who are requesting to have their child attend a public school outside of the Redondo Beach Unified School District. Information regarding Inter-District permits is available in Board Policy/Administrative Regulation 5117. To apply to be released from RBUSD, please refer to Board Policy below and fill out the application completely, for the appropriate school year. Submit the completed application and necessary support documents to the Educational Services office at the RBUSD District offices located at 1401 Inglewood Avenue, Redondo Beach, CA 90278. Please note: the same proofs of residency required for enrollment within the RBUSD are also required for release and are outlined on the application below. Redondo Beach Unified School District is obligated to provide an education for those students who reside within its attendance boundaries. From time to time, a student's residency is researched because of continued tardies, returned mail, excessive absence or statements from students indicating they live outside of Redondo Beach. Redondo Beach residents living north of Artesia Blvd., west of Inglewood Avenue, east of Aviation Blvd, and south of Manhattan Beach Blvd. Download the RBUSD Interdistrict Release Form and complete. Turn in this completed form as well as your Proof of Residency to the Educational Services Office at the District Office, 1401 Inglewood Avenue, Redondo Beach. If you have any questions, please contact your school office.